Goa is a dream destination for the tourists. Well, how would your life turn out to be, if you were given an opportunity to settle there permanently? If you are looking for Property in Chorao Goa, here’s good news for you. A number of developers have come up with sophisticated residential complexes in the area. 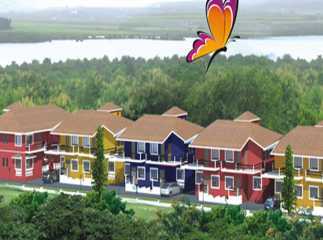 Home-lovers can buy an apartment in the lush-green destination and live a life of luxury and comfort. Goa has changed a lot on the last few decades. From being an exclusive tourist spot with fantastic beaches, it offers luxury apartments and villas for the residents. Besides, an optimum location of the projects in this region has attracted hundreds of homebuyers. People have already started migrating to the dream destination. With the availability of all the necessary amenities to assure a comfortable living, Goa provides all the reasons to the investors to move here. Life in Goa is simply not about tourism and beaches. The social infrastructure around the Properties in Chorao Goa is highly developed. The residential estates are well-connected to the commercial zones. Transportation facilities and roadways have been improved in recent years in Goa. Commuters will find all the facilities to move around the city. Besides, you will find an easy access to shopping malls, multiplexes and other places of entertainment. Goa provides every element of luxury that your life craves for. A number of schools and hospitals are located close to the upcoming projects in Goa. The important educational institutes include the Goa University, St. Bartholomews High School, Nisha's Play School, Dayanand High School, The Little Penguins School, ACDIL High School, Sunshine Worldwide School and Vidya Prabodhini High School. The healthcare infrastructure is also of refined grade, the important hospitals being MD India Healthcare Services, Dr Prabhu Hospital, Healthway Hospitals Goa, Manoshri Children's Hospital, Chodanker Nursing Home, Mandovi Hospital, and Sushruti Hospital. When you move to the apartments in Chorao, you will get easy transportation facilities to all these healthcare centres. The apartments in the completed and upcoming projects offer classy living facilities. With large living spaces, wide balconies and large windows, you will enjoy an aristocratic lifestyle when you move to one of the complexes. Besides, the floor planning and architecture have been well-planned, ensuring optimum flow of natural air and light in the interiors. The residential complexes remain under tight vigilance of security. Besides, the security facilities have been strengthened with 24 hours of CCTV scanner. The residential complexes come with a wide array of amenities. From swimming pool to gym, you will enjoy every healthcare facility that you want. Apart from this, health enthusiasts will be able to boost up their fitness levels in the jogging and cycling tracks in the complex. For children, dedicated play areas provide a perfect zone to rejoice their time. If you are interested in investing in the Project in Chorao Goa, this is the best time to make your move. You may buy an apartment for commercial purposes or personal use. Goa presents home-lovers with their dream abodes to cherish the lives.